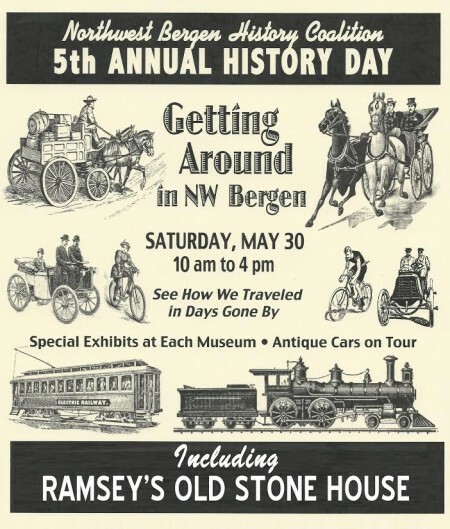 Ramsey’s Old Stone House will be open as part of Northwest Bergen History Coalition’s 5th annual History Day where many local museums will be open for Tours. 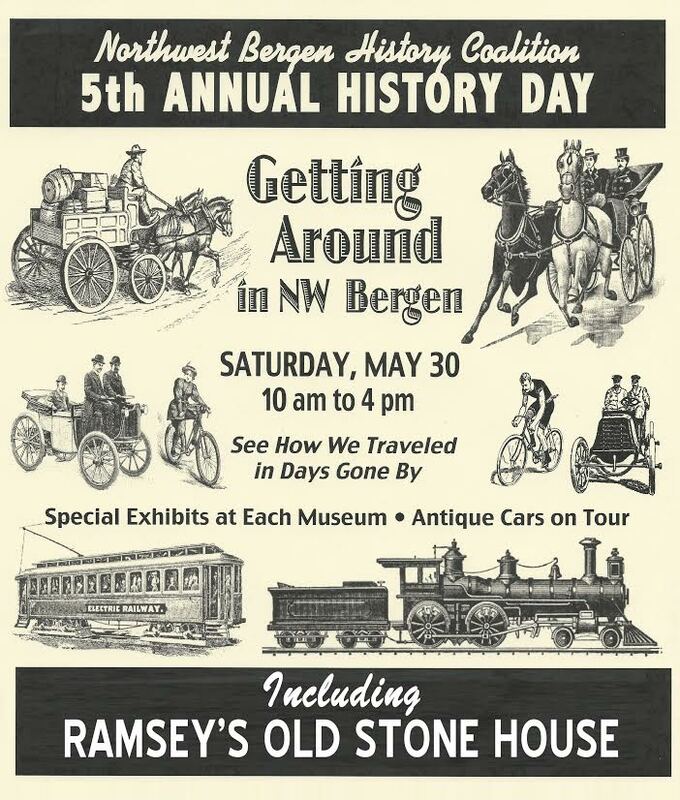 This year’s theme is transportation, exploring the various modes of 19th and 20th century transportation in Ramsey and the surrounding area. Zabriskie House 421 Franklin Ave., Wyckoff. Advance ticket sales for admission to all ten sites start on April 15. Adults can purchase a ticket in advance for $10 and receive free “Fun History” tickets for their children 12 and under to have stamped at each site. Advance tickets can be purchased through each of the Coalition’s historical societies. They will also be on sale at the Schoolhouse Museum in Ridgewood, The Mahwah Museum, The Hermitage, and Abma’s Farm Market in Wyckoff.